Highlights include two films with local ties. Life cycles abound in the 15 short works comprising this year's Animation Show of Shows, which comes to Cinema 21 this week. Whether for flightless green birds, grizzled sailors or amorphous blobs, the many existences portrayed in this curated lineup of animated shorts tend to loop, mirror each other or mutate into new existences altogether. That theme could stem from the nature of the short film in general: Many stories end where they start; we're just more liable to notice over the course of seven minutes than two hours. We see as much in this collection's Oscar-nominated One Small Step, which chronicles a young woman's journey to become an astronaut, drawing inspiration from her single dad's dutiful support at beginning and end. 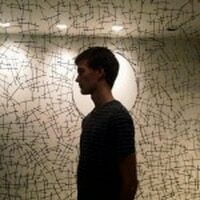 Perhaps the tendency toward cycles stems from animation technology itself, complicating the barriers between life and death, or form and formlessness. To this end, the hypnotic German short Love Me, Fear Me transforms its spotlighted clay dancer at the whim of her audience. Or maybe these life cycles are more of a deliberate throughline in this year's installment. Now in his 20th year curating ASoS, founder Ron Diamond looks through well-trained eyes for how different shorts will affect the overall mood or interpretation of others during a presentation. For example, Flower Found!—a Dutch parable about the mob mentality that arises around a missing flower and the subsequent persecution of a chicken who resembles it—lives right next to Bullets and its child narrator quietly demanding that the many horrors of this world simply "relax." Another hallmark of the ASoS is the fascinating gulf in aesthetics bridged by the films being presented in concert. That much is especially visible in the two ASoS films with Portland ties. The first is Age of Sail, a cutting-edge production from the Google platform Spotlight Stories. Directed by John Kahrs, this short whisks the viewer into an uneasy partnership between a melancholy sea captain and a girl who's fallen overboard. The film brims with the illusion of papery tactility, exhilarating seascapes and even a little star power (Ian McShane voices the captain). This featured work stands out as particularly innovative, with its meticulous graphic design intersecting with virtual reality technology. 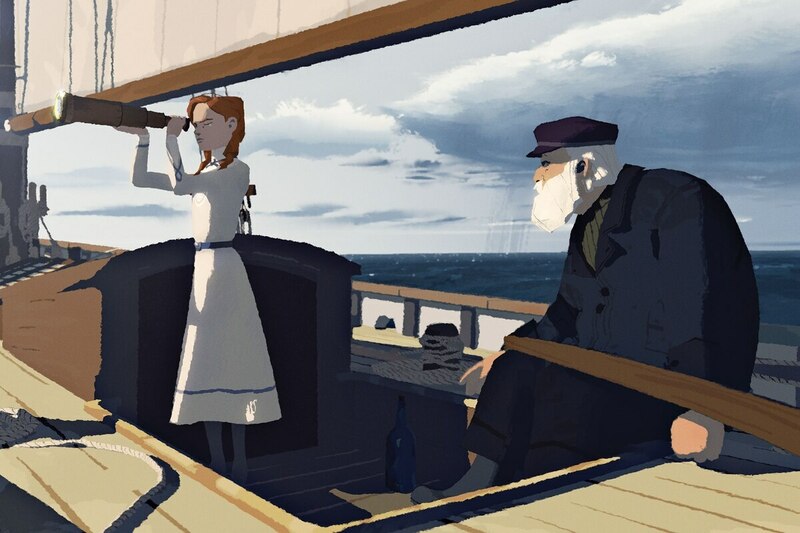 "Computer animation is a fraught tension between technology and artistry, but it's rare to find someone who has such a sense of it as John Kahrs," says Jan Pinkava, an executive producer for Age of Sail and a 1998 Oscar winner for the Pixar short Geri's Game. He likens Kahrs' and Spotlight Stories' work to his early days at Pixar in terms of using new technology to convey age-old artistic ambition. Age of Sail and the several dozen industry leaders featured in the showcase are juxtaposed with two animated poems authored by preschoolers in Columbus, Ohio. Sliding gracefully amid longer, more polished work, Supergirl and Bullets function as both palate and soul cleansers. Much of the lineup's animation is liable to elicit youthful wonder, but a 4-year-old girl rhapsodizing about her simultaneous desires to be a superhero and a recluse distills that awe into bare, brave insight. "My favorite age to write with is 4- to 6-year-olds because of how ready they are to play with language and listen to their thoughts," says Nancy Kangas, the Portland-born teacher of the two featured students, Penny and Brayden. Fittingly enough, Pinkava claims the animated short form containing these children's words is in itself poetic. The artistic freedom on display in ASoS, he says, makes it an "institution" for the animation community, showcasing personality and risk-taking often snuffed out of feature-length work by economic and narrative constraints. "It really is the poetry of film," Pinkava says. "Young animators and artists are given the chance to express themselves, so there's a range—from silly doggerel to deathless verse." SEE IT: The Animation Show of Shows screens at Cinema 21, 616 NW 21st Ave., cinema21.com. 4 and 6:45 pm Friday-Saturday, 4 and 6:30 pm Sunday-Thursday, Feb. 8-14. $7-$10.